2. 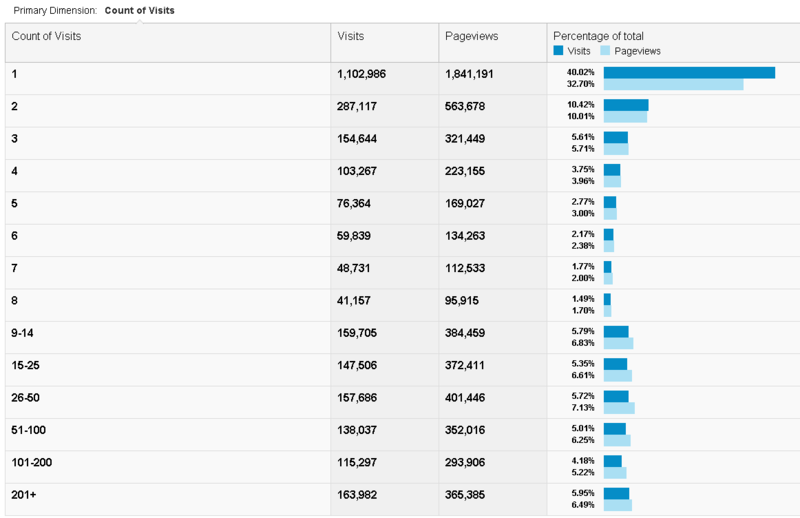 Statistics – how well did R-bloggers do in 2012? The past year has been wonderful regarding progress in making reproducible research with R using Sweave, knitr, RStudio, and many new R packages. For 2013 I wish someone (or some-company, RStudio, cough cough) would take on themselves to make it as easy as possible to do Reproducible R blogging. The seeds are already there, thanks to people like JJ Allaire, Jeffrey Horner, Vicent Marti, and Natacha Porte we now have the markdown package, which combined with Yihui Xie knitr package and the wonderful RStudio (R IDE), allows us all to easily create HTML documents of R analysis. Combine this with something like one of Duncan Temple Lang’s R packages (XMLRPC, RWordPress) and one can imagine the future. The next step will be to have a “publish to your WordPress/blogger” button right from the RStudio console – allowing for the smoothest R blogging experience one could dream of. I hope we’ll see this as early as possible in 2013. There can never be enough of this really. So far, I should give props to Markus Gesmann, Diego de Castillo for authoring and maintaining the awesome googleVis R package. This package is great for online publishing of interesting results. For example, see the site StatIL.org – visualizing over 25,000 Time series of Israel’s statistics using html files produced (also) with the googleVis package (example: population of Israel between 1950 to 2011). The second promising project is Shiny, which Shiny makes it incredibly easy to build interactive web applications with R. Since they intend to release an open source server of Shiny, which can run on Apache, we can expect very interesting developments on that front this year. If you have valuable knowledge and insights to share with the R community, the best way I suggest is to start your own free blog on WordPress.com. Create a dedicated R category for your R posts, and ask to join r-bloggers (make sure to read and follow the guidelines mentioned there). This year I am considering allowing non-bloggers to also take part in the party. The idea is to create a simple form which will allow you to write a guest article which (after review) will go live on r-bloggers (without the need to first start your own blog). If you are interested to submit such a guest article in the future (even if you are not sure exactly what you will write about), please fill out this form with your e-mail. IF I see people are interested, I will go ahead and create this service. Sharing: If you don’t alreayd know, R-bloggers is not a company. The site is run by just one guy (Tal Galili). There is no marketing team, marketing budget, or any campaign. The only people who know about the site are your and the people YOU will send the link to (through facebook, your personal website, blog, etc.). 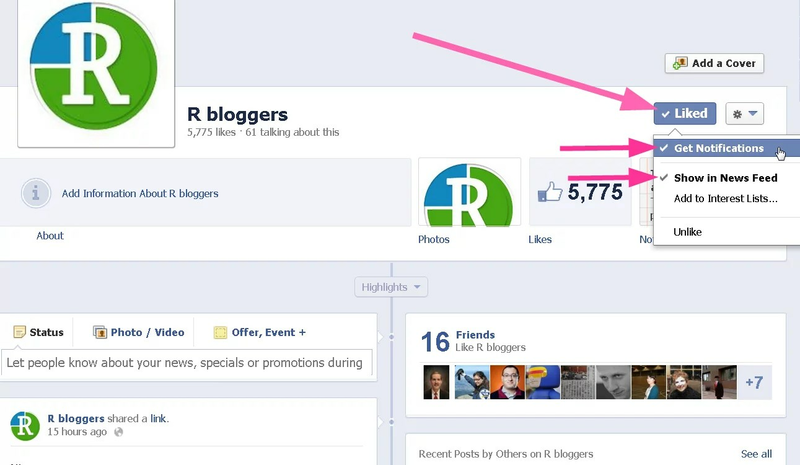 So if you haven’t already – please help share r-bloggers.com in whatever way you can online. If you are interested in sponsoring/placing-ads/supporting R-bloggers, then you are welcome to contact me. Currently there is not much place left, but you can still contact me and I will update you once an ad placement is freed up. As always, you are welcome to leave a comment on this blog, and/or contact me (keeping in mind it might take me some time to get back to you, but I promise I will).